Another nature’s inspired blouseJ. 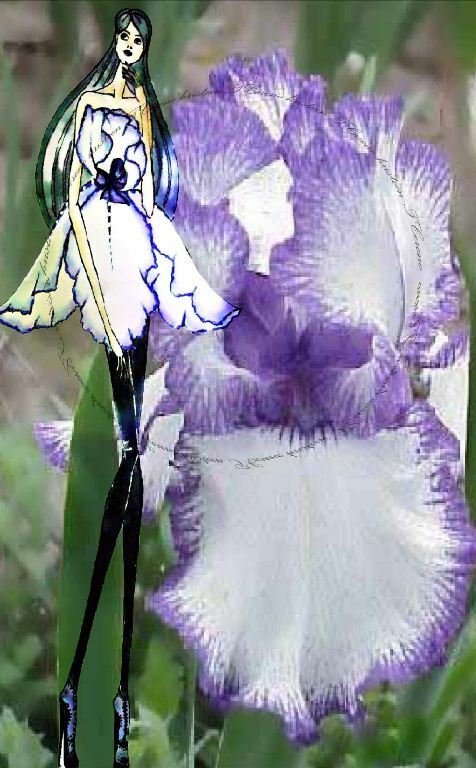 The lovely purple iris wildflower had taken my imagination towards creating this design which is one of my favorite. John Galliano’s flower inspired collection for Christian Dior convinced me that flowers had taken its wonders beyond fashion, his design is one of a kind and It made me wish that someday I could have my design done like his. There is no way to deny that I am in love with flowers as my inspiration and this one is an actual work done for miss universe candidate from Vietnam. I really love this dress though I am not sure if the designer of this dress was inspired by a flower but it just seems to be a soft petal blown by the wind. the dress is absolutely amazing!! very inspiring photos,,, thanks for sharing! i love your drawing, the dress looks os much like petals! Hi jenn, yes they look like petals :) and I am happy to have it done that way. Thanks for appreciating! You have a great style! I really like this one!! !